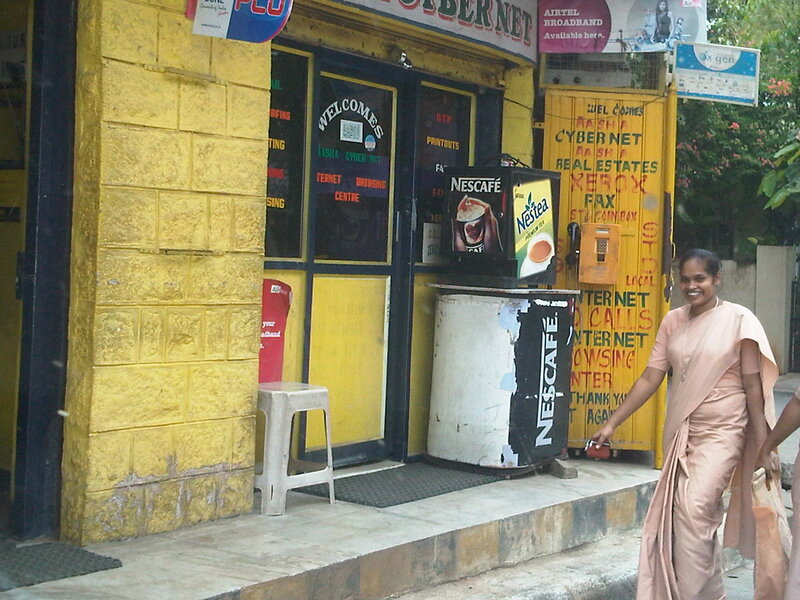 A typical Indian nun walks past this camouflaged yellow phone on a yellow door. On the corner of 3 cross Hutchins road. 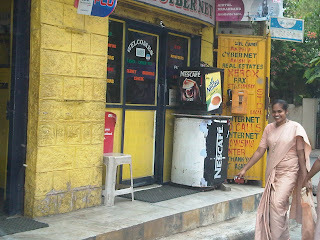 This is a quaint, old fashioned part of Bangalore, where a lot of the Anglo Indian community lives. This is where I grew up! This great payphone from India was contributed by Kaveri Singji who's local to the area. She runs a great Business for personal shopping in the city called Shopping Angels.